Millions of Americans are being bombarded by radio, television and print ads all claiming to be able to help you settle your debt for as little as 20% of the original amount owed. Hang on for a second, so that would mean that if someone owed Visa, Amex and Chase a total of $30,000 they could just pay $6,000 instead? Not exactly. Debt settlement isn’t so easily explained, so let’s take some time to understand it. In reality there are two options for consumers – debt settlement and debt management. Let’s begin with debt management. A debt management program or DMP is really a debt repayment program. A DMP is best suited for individuals who are just falling behind on their bills. If you’re (on average) more than 45 days late on your bills well then a DMP is not the best option for you. The reason being that a debt management plan is really only suited for consumers who haven’t fallen behind on their bills yet. When you start to fall more than 60 days behind on your bills it’s a very effective way to take your credit score from 800 to 650 in no time flat. Debt management plans basically allow you to stop the high interest fees and penalties and allow you to pay off the debt (without the crushing finance charges) within a specific amount of time, usually no more than four years. In exchange you have to agree to not open any new lines of credit (not always the easiest thing for some) until you complete the DMP program. You are also agreeing to pay off the entire debt owed. Another benefit is that a DMP in most cases will not harm your credit profile. You need to make sure that you are not too far behind on any bills before you join a DMP. The reason being that DMP programs take time to process with each creditor. It’s not the fault of the Debt Management Plan company, but really has more to do with the fact that large creditors (credit card companies) are not set up to quickly push a client from current bill collection status into a DMP program status. That’s why you should make sure that you’re dealing with a legitimate company that isn’t just going to tell you what you want to hear. If someone is telling you that by joining a DMP your 550 credit score will rocket to 720 within 90 days, they’re not telling you the truth. 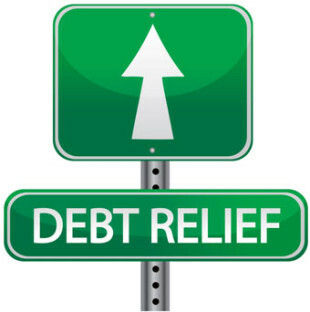 Debt Settlement is a service that more and more Americans are becoming ideal clients for. Debt settlement is a service where you appoint a representative (an attorney) to negotiate on your behalf with your creditors. It’s their job to try to get the companies that you owe money to settle for a smaller percentage of the original amount. Settlement amounts under 60% are becoming increasingly rare. Any company claiming to be able to cut 60% off of the top right away again isn’t being honest. There are a variety of factors that determine exactly how much (less) they’ll settle debt for. The age of the debt (the more recent the less you’ll be settle for), who the debt is owed to and the state you live in. Certain states have more restrictive statutes stating how long a company has rights to try to collect a debt. The best advice is to find a professional who can advise you of your rights and what the best course of action is for you to reduce debt, and or enter into a debt settlement program.